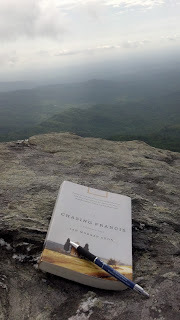 Chasing Francis is the fictional account of a wildly popular pastor of an evangelical mega church who one day lost his lid. He awoke one day to find that his religion seemed to be less than the “real thing.” He felt like his faith was quite suddenly shallow and lacking a solid foundation. This surprised him, left him perplexed. His pat answers no longer satisfied. 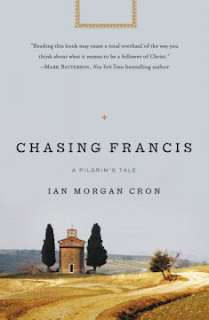 This Pastor took a sabbatical and visited his uncle, a Franciscan Monk in Italy. This led him on a pilgrimage through Italy, chasing St. Francis of Assisi, eager to learn everything he could about St. Francis. And he shares it all with us. It's amazing. What’s ironic is that this is exactly how I was feeling when I agreed to review this book. And I think a lot of evangelicals are beginning to feel this as well and that, my friend, is called “Post-Evangelicalism.” The previously unnamed cry of my heart I will now call Post Evangelicalism. and thought it was going to change my life entirely. Until I descended the mountain. Real life infringed and stuffed me back in my little box. But I think I will break out and let this book transform my life for real. Soon. Tomorrow. Or maybe next Friday.